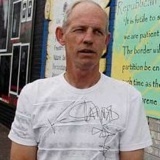 Tony Catney is a former republican prisoner. He served a life sentence for an action carried out while a republican activist in 1974. I initially met him at the tail end of my first jail term. He arrived in Cage F of Magilligan Prison in the closing months of 1975, shortly after he was sent down and just a matter of days before I was due for release. Like a minority in the IRA our first acquaintance with prison life took place at the tender age of 16. Over the years I got to know him very well. We became and remain firm friends despite as far back as 1986 having serious reservations about each other’s reading of political trends. His friendship broke through the stay away barrier when times were tough, both politically and personally. Despite my long standing political disagreements with him I have always saw him as a keen strategic and political mind. As a real electoral strategist - and not just one the press elevated to the status on the sole basis of the press wanting to elevate someone to that status - he was a powerful asset to Sinn Fein throughout the peace process. Never one to leap in the air as if jabbed with a cattle prod and then collapse to the ground with a sigh and a shudder when confronted with a different idea, he readily faced up to any criticisms of Sinn Fein strategy or his own role in helping formulate or drive it. In my numerous disagreements with him he was a formidable adversary. I would often leave discussions with him exasperated but niggled by the thought that he had a point. We worked together in the movement and in the mid 1990s both of us came to suspect that because of our close relationship and refusal to be deferential to leadership ideas that seemed questionable, some people at that level thought it better to keep us apart. We were not organising against leadership, rather providing a platform for people to express a view not officially sanctioned. The Bobby Sands Discussion Group, which we were both central to, was not officially closed. However, those of us who were IRA volunteers, Sinn Fein activists or both were told by the thought police not to express our views in public or organise any events that might cause the leadership discomfort. He underwent his exile in Brussels while I experienced it at home. Maybe we got it wrong and the leadership were just making use of its resources but that is how we saw it at the time. Little has happened since that would cause us to revise that view. Despite a busy schedule, he has made time for anyone interested in his political viewpoint and on one recent occasion made last minute rearrangements to facilitate the travel schedule of a visiting academic currently working on a book which looks at the resurgence of republican ideas. Tony Catney has no way of knowing for sure if Gerry Kelly told Mark Hamilton of the PSNI anything. All he has to go on is what the journalist told him. I asked him had he any reason to disbelieve the journalist to which he answered no. The journalist in question had no reason to be hostile to Kelly and relayed the story to Catney during the course of a conversation. Tony Catney believes he is the victim of a smear campaign being orchestrated by his former colleagues in Sinn Fein. It is similar in style to what Rab Jackson of Eirigi so vociferously protested about in the Irish News. Eirigi too has had the evil eye of Sinn Fein cast upon it because, although it has tried to avoid coming into conflict with the party, operates autonomously in pursuit of its own republican agenda.